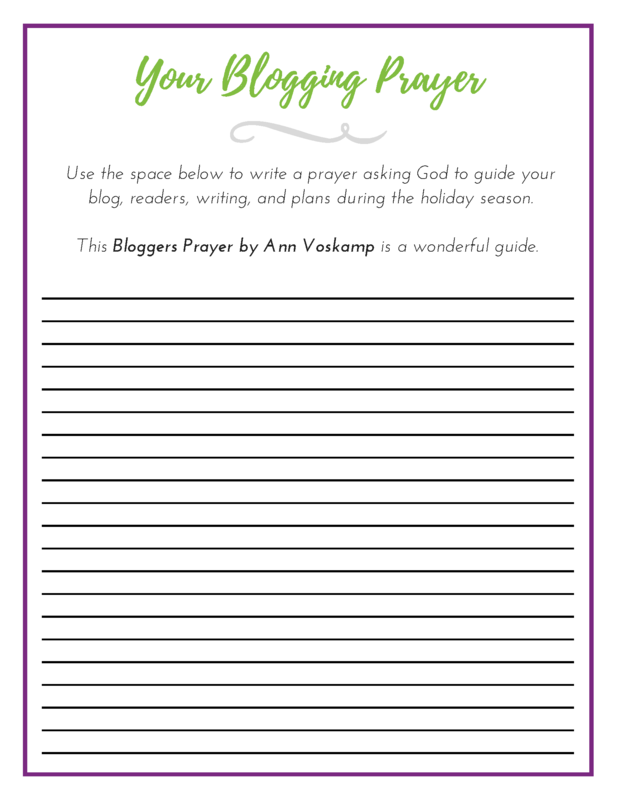 Are you a Christian Blogger who would love to earn income from your website, but you aren’t sure how to go about it? Do you worry about being overly salesy or pushy? Maybe you wonder how bloggers even earn income from their websites. Perhaps you’ve tried an affiliate link or two in the past, only to be disappointed. You might wonder if it’s even possible to earn income from the type of blog you have. Earning income from your website is absolutely possible, and Black Friday and Cyber Monday present a fantastic way to kick start your income. 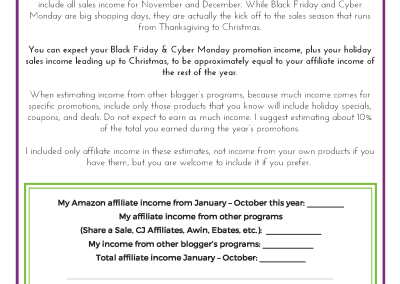 If your blog is not earning income, the holiday season is the perfect time to get started. 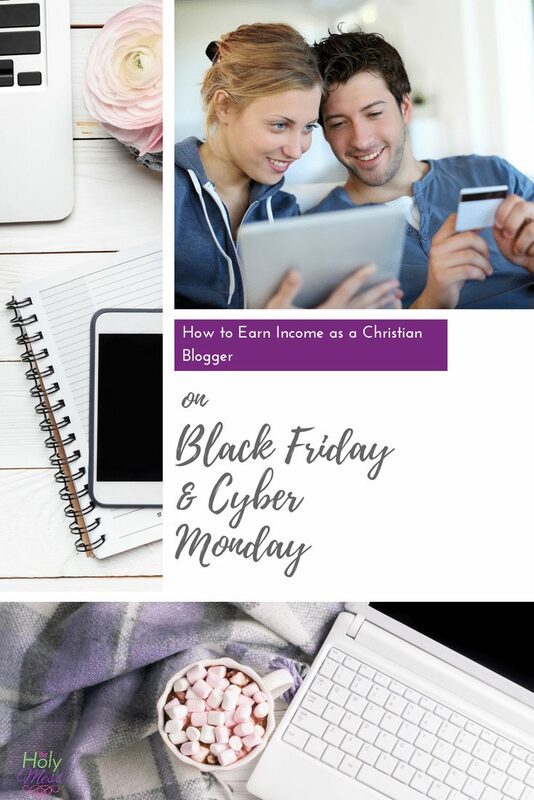 If you currently earn affiliate income, boost that earning into overdrive with the 9 steps outlined in How to Earn Income as a Christian Blogger on Black Friday and Cyber Monday. 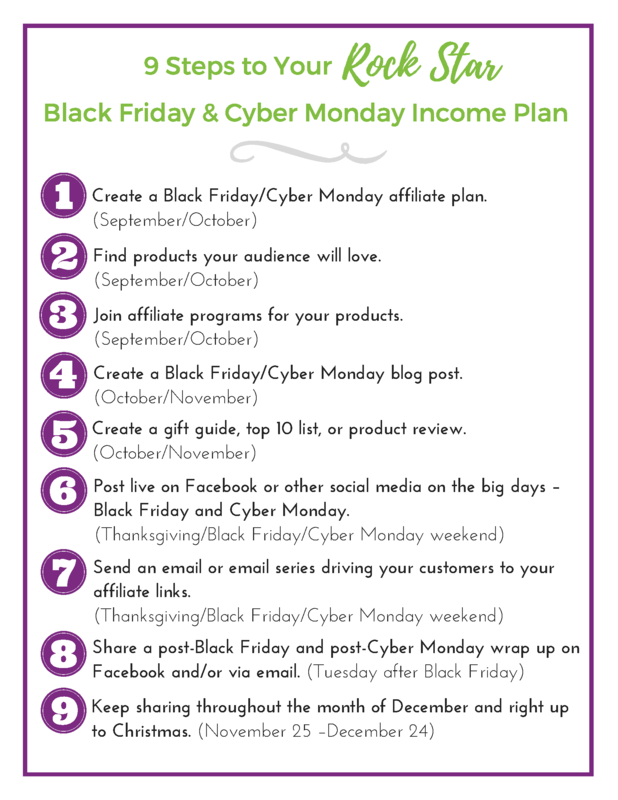 Did you know that your readers will be spending tremendous amounts of money online during Black Friday & Cyber Monday? Look at this chart. 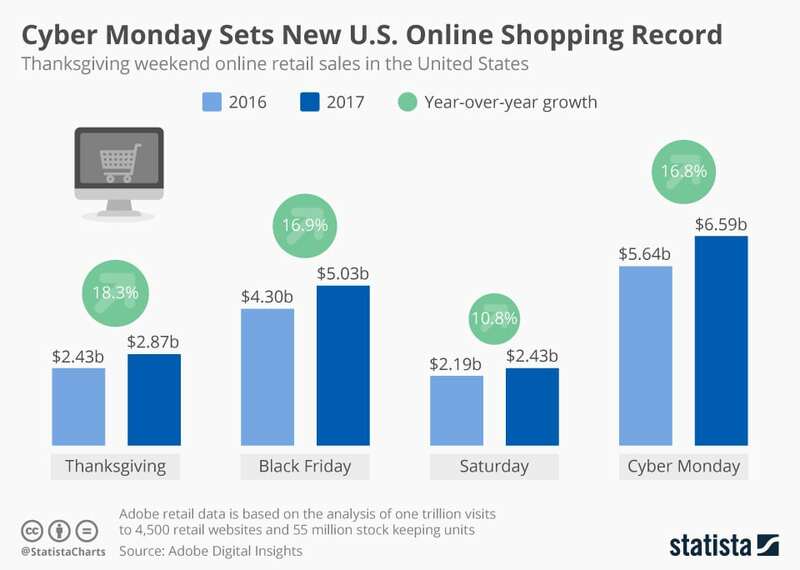 Your readers will be shopping during Black Friday, Cyber Monday, and throughout the holiday season. With a few specific strategies, you can offer your readers links to the products they want, save them time, and earn affiliate income for yourself. 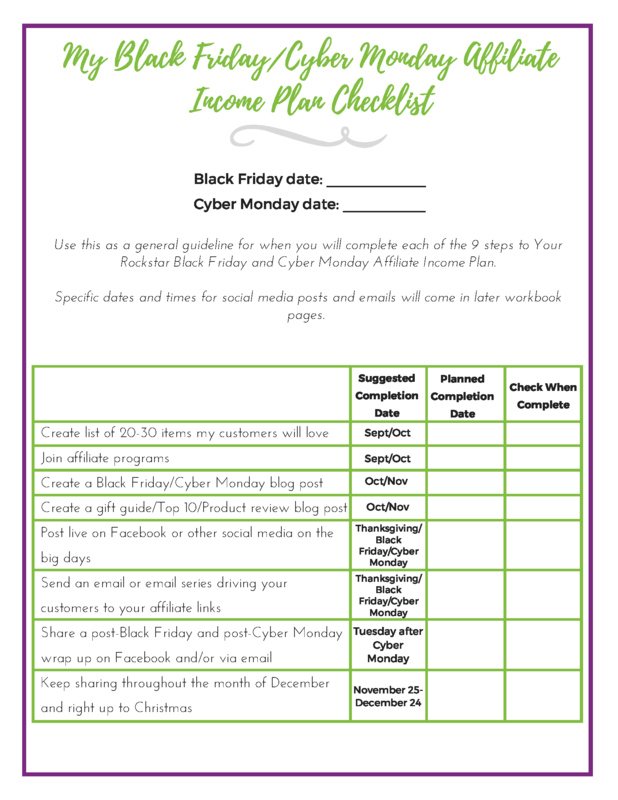 How Do I Go About Earning Income on Black Friday & Cyber Monday as a Christian Blogger? What does people standing in line at 3:00 AM for a TV set have to do with me and my blog? But I quickly realized that by ignoring these huge shopping days, I was missing out on a real opportunity. So, I decided to try something different for the holiday shopping season. 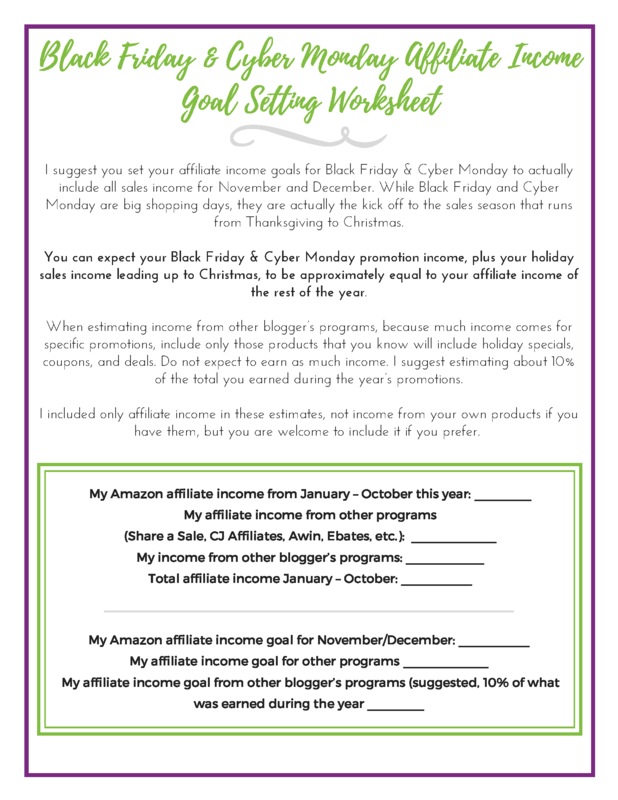 I spent months researching what makes bloggers successful with affiliate programs for Black Friday and Cyber Monday, especially using Amazon. I was thrilled with my results. Check it out what happened when I put my strategies into practice in 2017. That’s tremendous growth in just one year! 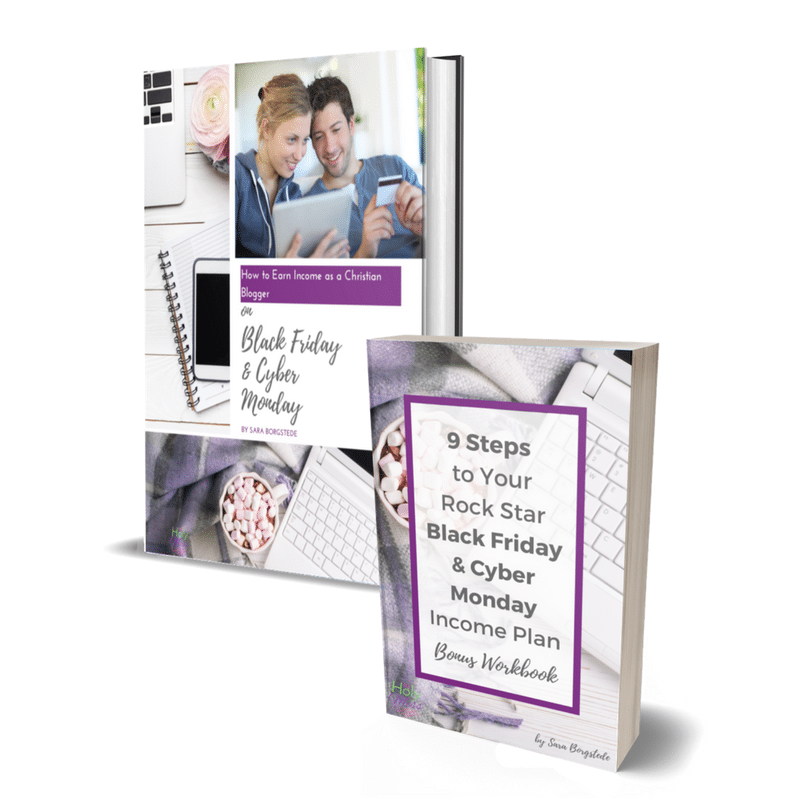 Now, I’m sharing with you the exact steps I took to be successful during Black Friday, Cyber Monday, and the holiday season, all specifically written with Christian blogger in mind. 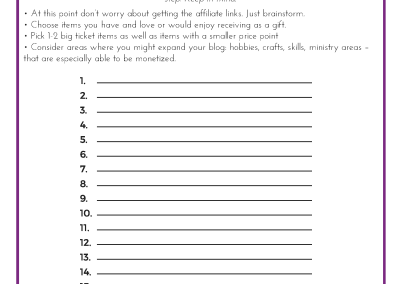 Should Christians Bloggers Earn Income From Their Blogs? 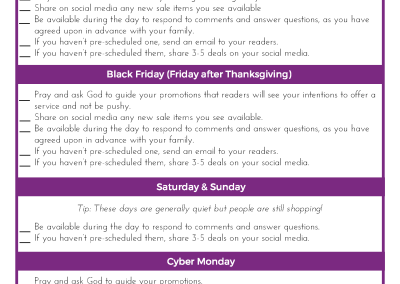 Can You Make Money from Marketing on Black Friday and Cyber Monday as a Christian Blogger? 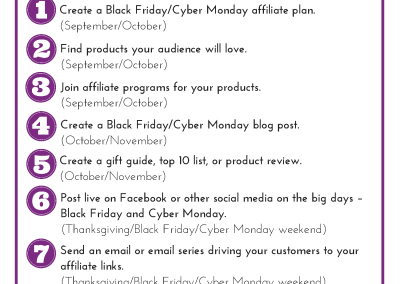 What are the Big Shopping Days to Plan for with Affiliate Marketing as a Christian Blogger? 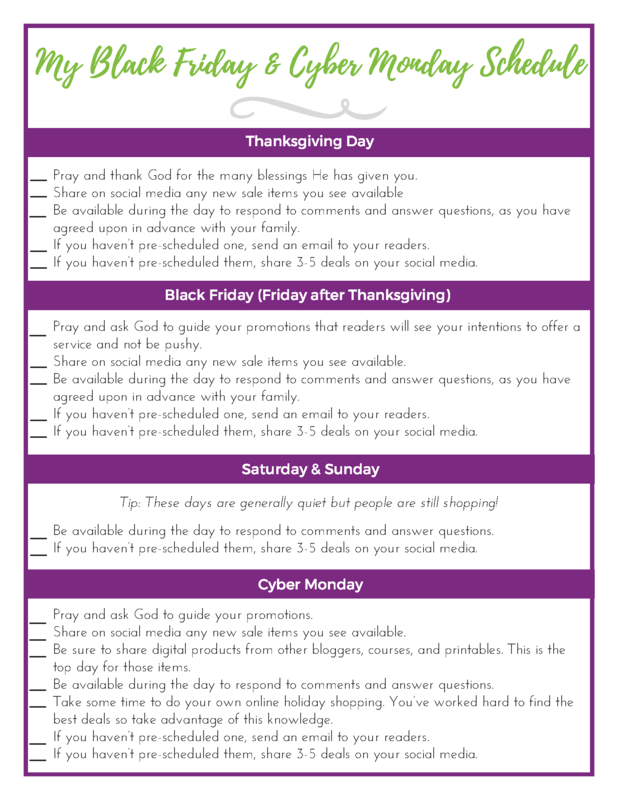 Why Focus on Black Friday and Cyber Monday as a Christian Blogger? 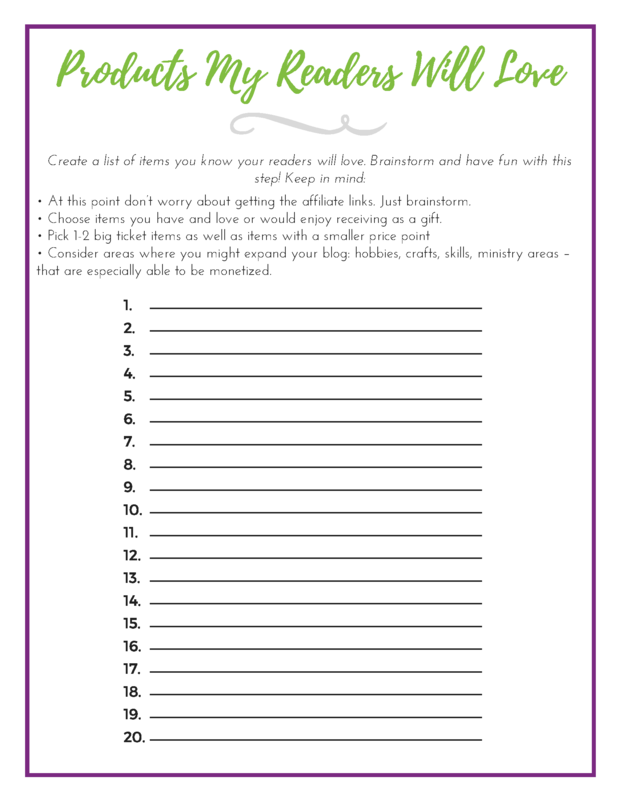 Plus…as an added bonus receive this printable workbook at no additional cost! 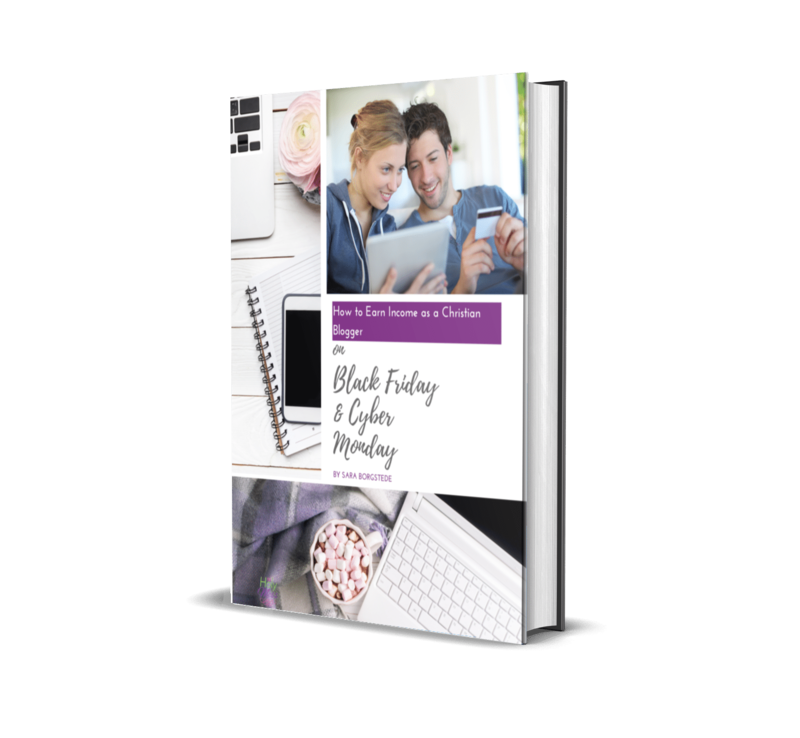 Because I am completely committed to your success, I’m including this bonus printable workbook to help your Black Friday and Cyber Monday efforts. This 16 page workbook will guide you step by step through completing an income plan that is just right for you and your readers. Check out these helpful workbook pages. 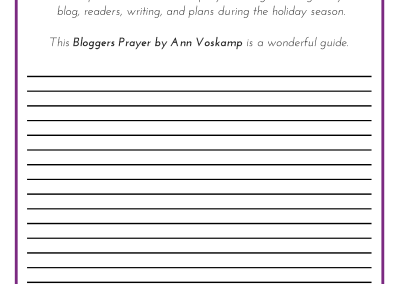 Write a prayer for you and your readers. Start your income plan with a prayer. 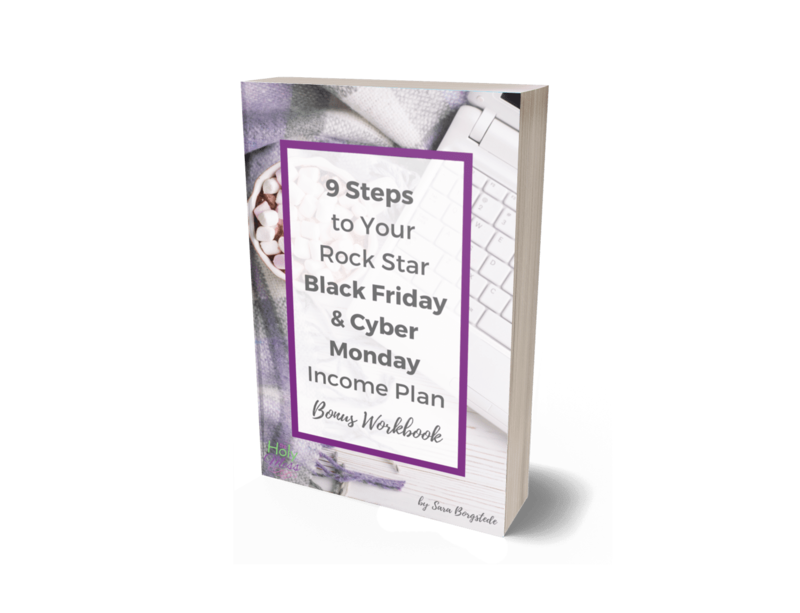 9 Steps to your rock star Black Friday and Cyber Monday income plan. Create a list of products your readers will love. 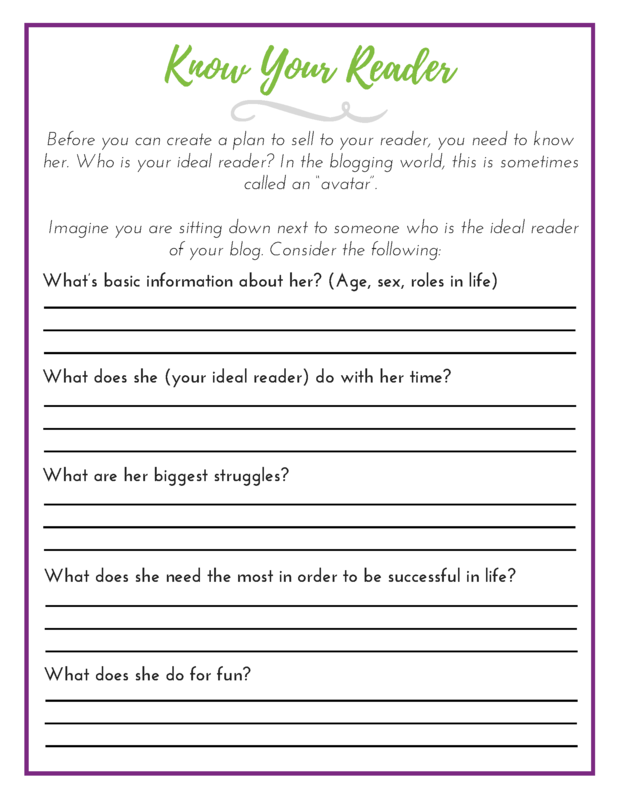 We include tips and strategies for how to find items that match your ideal reader. Set goals for your holiday income this year. We walk you through how to set challenging yet realistic income goals. 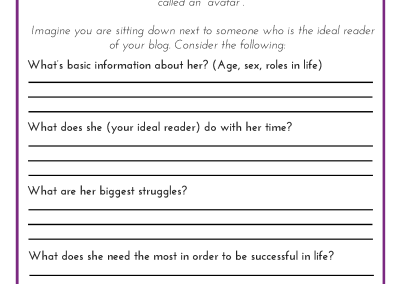 How well do you know your ideal reader? These answers will guide you in choosing products to offer. 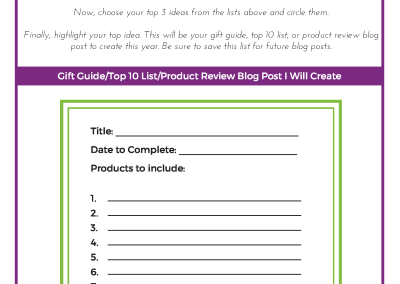 Gift Guide, Top 10 List, and Product Review Blog Post Brainstorm. 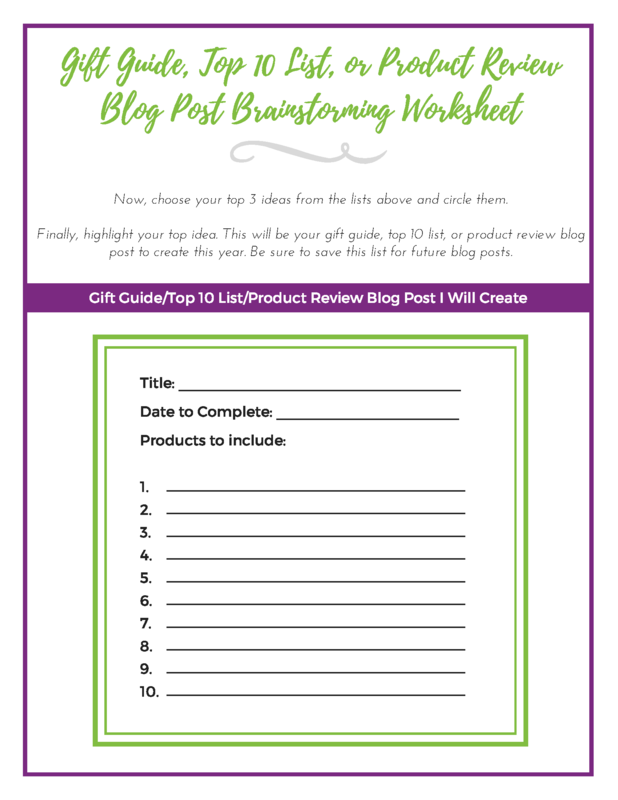 Brainstorm creating a gift guide, Top 10, or Product Review blog post in order to share affiliate links in a way that serves your readers and is natural for you. 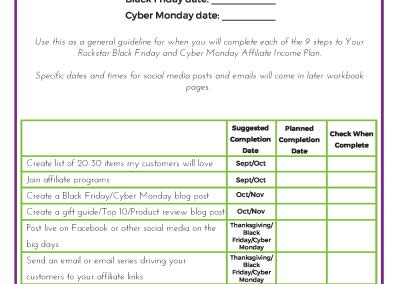 Black Friday and Cyber Monday income plan time line. The timeline for each of the 9 steps of your rock star plan. Social media and email sharing planning schedule. Get one hour of individualized support and coaching to make your Black Friday & Cyber Monday plans an extra amazing success! 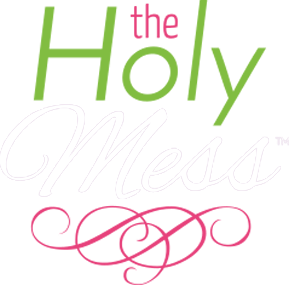 $75 – Special launch price! Note: When purchasing coaching, you will receive an email from me within 48 business hours in order to schedule your coaching session. If you do not hear from me within 48 business hours, please email sara@saraborgstede.com in order to schedule your session. 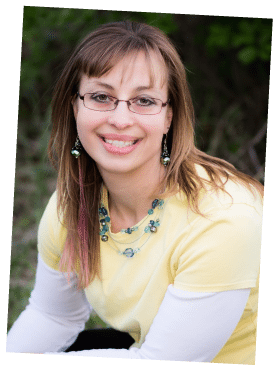 Sara Borgstede is a writer, speaker, mom of 5 amazing kids through birth and special needs adoption, 100 pound weight loss success story, and pastor’s wife. When she’s not napping, she’s busy writing at www.theholymess.com.